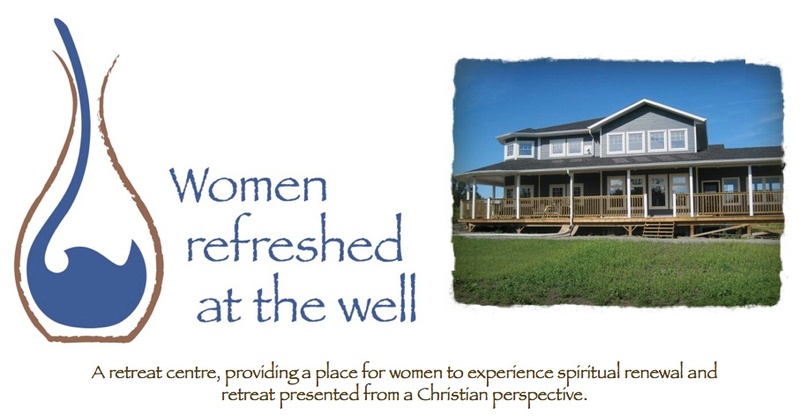 We met a few times as our “BOARD OF DIRECTORS” for Women Refreshed at the Well. Originally, I was encouraged to surround myself with people who believed in me, my walk with the Lord, and were willing to come alongside. The original board was: Ken and Carolee Neufeld, Jody and Tim Thomas, Maxine Gacek, Josie Schellenberg, and Alvin and I. However, with that mix, too many of us were “not at arms length” so at that time, upon suggestion by our lawyer, we changed to the Board of Directors being: Carolee, Jody, Maxine, Josie and myself. And Tim, Ken and Alvin became and “Advisory” part of the board, with non-voting rights. You just can’t have too many relatives on the same board when it becomes a registered charity. As well, in 2005, after some prayer and asking ~ I asked another friend with both private and non-profit background, to give us some advice. John and his wife Brenda met with us to get a feel for what was happening and what needed to happen. 2005 and 2006 came and went in a blur. I landed up in the hospital in June of 05 and then again in March of 06 and as a result was slated for surgery in May that same year. As well, God chose to take our Dad (John Klassen) to be with him, following a brief struggle with liver cancer. We did not meet as a Board of Directors during those years. I had some conversation with John during the year about fundraising. John said he felt we would need about $500,000! I think my eyes likely rolled back when he told me this. But what was I expecting? We would need to buy a house, furnish a house, and maintain it. Plus we were also hoping to raise enough for a salary for a year while we established the retreat house. The one part of Ellie’s vision, the part about coming upon a house that was completely burned but whole ~ this intrigued me a lot. When I spoke with our discerning/prayer team about it (in 03 after Ellie gave it to me) some of them thought perhaps God would “burn” something to do with the Vision, so that something would rise up out of the ashes. Sort of like when a farmer burns a field so that it comes up better the next year. In the summer of 2007 I started hearing God speak again. I love when I hear Him ~ and I have come to quit doubting if it is really God, and just trust that it is! I often record His thoughts as he rolls them out to me, and my journal is such a roadmap of this journey with God! At the time, His words were “get the ball rolling!” That was what I kept hearing him say. That fall (of 2007) Alvin and I met with John and Brenda and another couple, to talk “retreat” ~ I felt I needed to talk to them. Irv and Lil were friends of my sister, and I had gotten to know them. The other thing was that often when I saw Irv, he asked how the retreat vision was going. God impressed on my heart that I needed to talk with them, so we got together over supper at the Olive Garden and talked. I have to admit, I walked away from there, not quite sure about why I needed to get together with them. But, the one thing I knew for sure was that God wanted me to, and kept telling me “Get the ball rolling… get the ball rolling.” And like I have said before, I know that when God tells you to do something, I have learned (and yes, sometimes the hard way) that He means it! It felt however, that with me employed in full time church ministry, life was so full ~ I was having a hard time “finding the time” to roll the ball. Alvin and I began to dream about the possibility of building a retreat house combination with our place to live. We did a lot of talking! I did a lot of asking God to clarify many things. I did a lot of praying. The really cool thing is that when I asked people to pray about WRATW, some of them told me that they already were because God had already laid it on their hearts to pray! I love that about God! When He wants our attention, He gets it IF we are tuned toward Him.